3) I think it's really neat to see the actual clothes that were worn by movie stars and were part of the movie that was seen by millions of people on the screen around the world. So while John was up climbing around in the trees, I was down on firm ground but feeling like I was kind of up high (in heaven!) myself. I'm going to start and end this post with my favorite dress! This was Emmy Rossum's dress when she played Christine in The Phantom of the Opera. This dress is everything! I love it! I dreamed of dresses like this when I was a little girl (I guess it's obvious that I still do!). And I love pale pink roses--my wedding bouqet was made up of them and only them. Another beautiful dress from Phantom, this one worn by Minnie Driver as Carlotta. From Finding Neverland. The dressing gown on the right was worn by Kate Winslet. I LOVE the Sherlock Holmes movies with Robert Downey Jr. and Jude Law as Holmes and Watson. This beautiful gown was the crown jewel of the collection, but I don't remember what movie it was in! Jane Eyre (my favorite book!). This was her wedding gown from her failed attempt to marry Mr. Rochester in the 1996 version of the movie. And drum roll please for a costume from one of my most favorite movies ever...Sense and Sensibility! 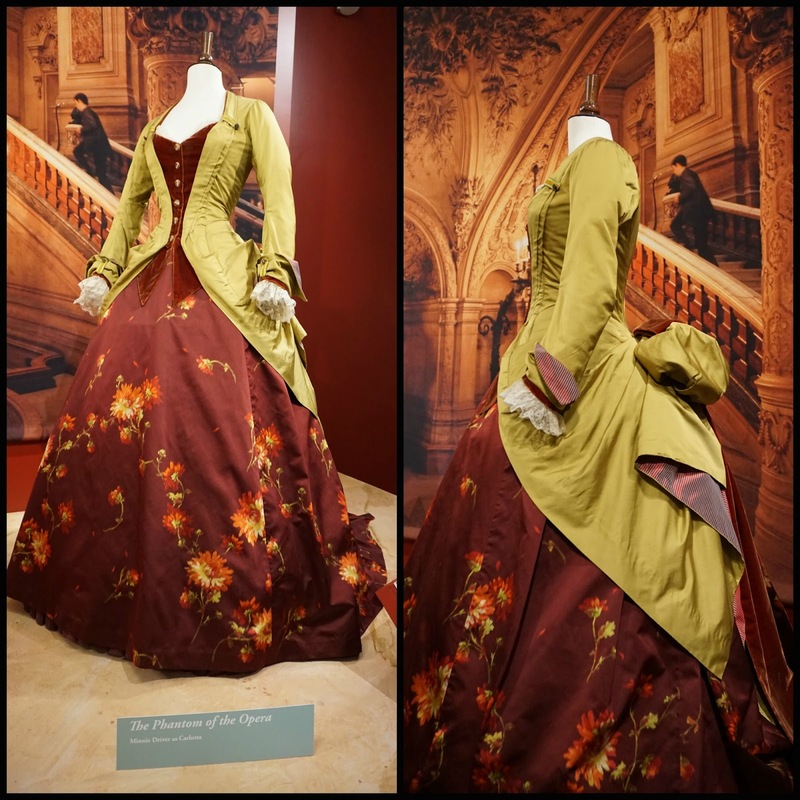 Kate Winslet wore this costume when she perfectly played the feisty Marianne Dashwood. I know (and love) the scenes this dress and hat were in! Heath Ledger wore this manly get-up in Casanova. Johnny Depp as Captain Jack Sparrow in Pirate of the Caribbean: The Curse of the Black Pearl. I thought these dresses were a little sinister and creepy. Keira Knightley's dress in The Duchess.